I’ve been preparing for this day for 18 years, and I’m not ready for it. March 21, 2017 in faith, family, homeschooling. June 16, 2016 in CatholicMom.com, family, homeschooling, running, Small Success Thursday. Ever since our older daughter hit high school, summer school has been a part of our homeschooling life. But it doesn’t have to be the end of summer fun! 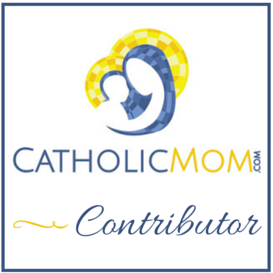 May 31, 2016 in CatholicMom.com, family, homeschooling. Once upon a time, I wasn’t too keen on my girls reading Harry Potter. I wound up changing my mind. August 20, 2015 in books Books BOOKS, faith, family, homeschooling, morality.